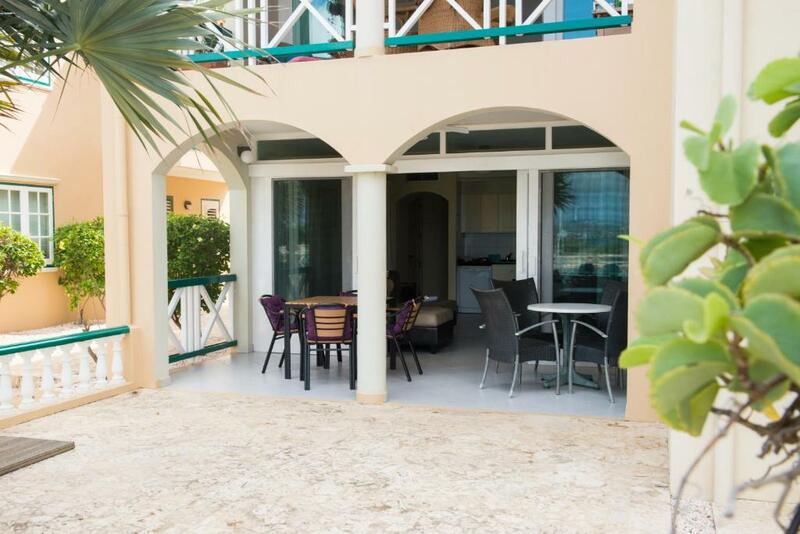 Located in Kralendijk, Port Bonaire 1 BR Apartment has self-catering accommodations with a terrace and free WiFi. This self-catered apartment has a garden. 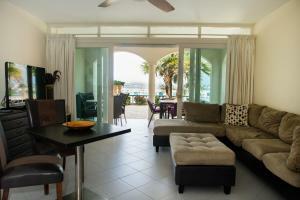 The air-conditioned apartment is composed of 1 separate bedroom, a fully equipped kitchen, and 1 bathroom. A flat-screen TV is featured. The apartment has an outdoor pool. 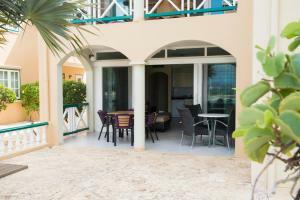 A car rental service is available at Port Bonaire 1 BR Apartment. 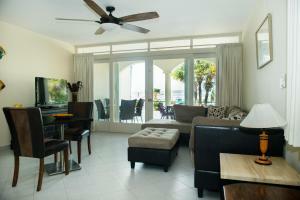 When would you like to stay at Port Bonaire 1 BR Apartment? 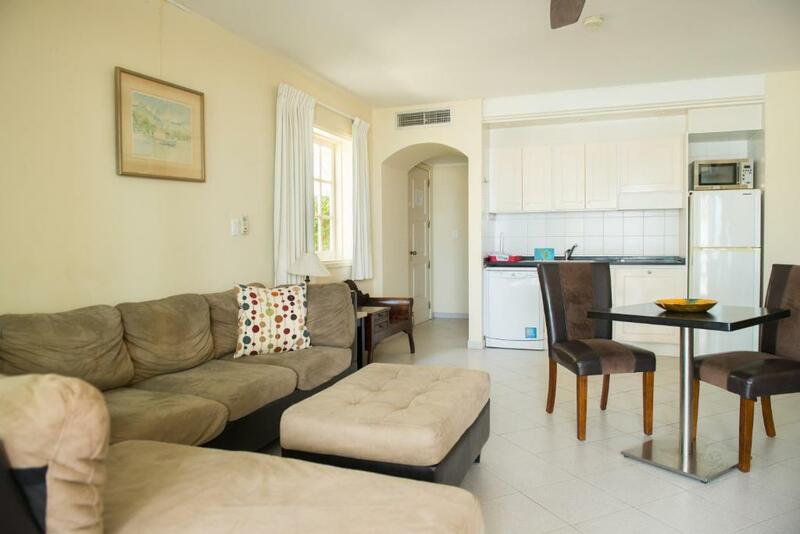 This apartment has a dishwasher, sea view and toaster. 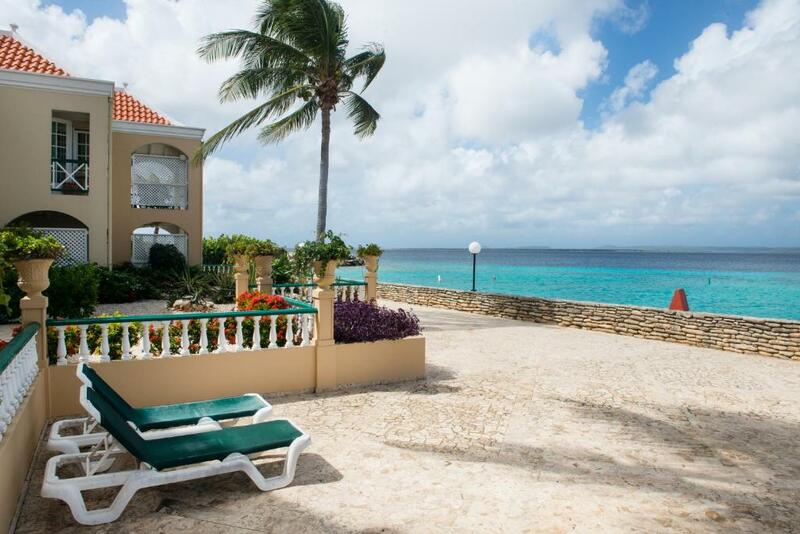 Port Bonaire Resort offers breathtaking views over Kralendijk and the smaller island of Klein Bonaire. During the day you can watch the ships that sail through Bonaire. 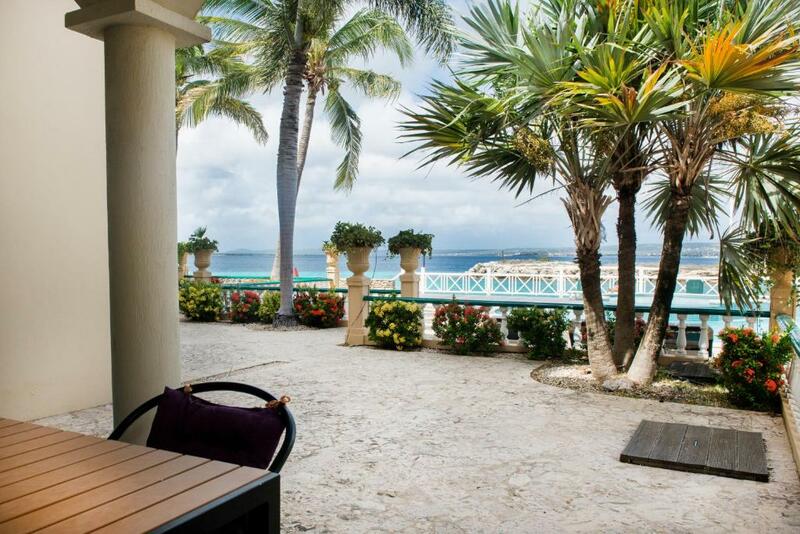 When the sun goes down, the porch makes a beautiful setting to enjoy a drink and experience that truly tropical sunset. Port Bonaire is a cozy resort with all the amenities of home and a dive shop located on site. This apartment is on a complex that is located directly at oceanfront, so swimming, snorkeling and diving is possible just in front of the complex. 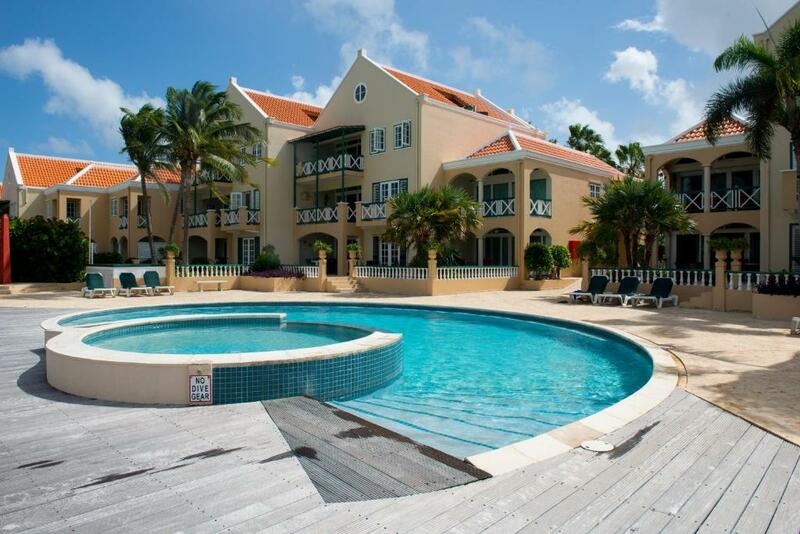 There is a spacious pool and there is a sidegate to Te Amo beach. House Rules Port Bonaire 1 BR Apartment takes special requests – add in the next step! Port Bonaire 1 BR Apartment accepts these cards and reserves the right to temporarily hold an amount prior to arrival. We need at least 5 reviews before we can calculate a review score. 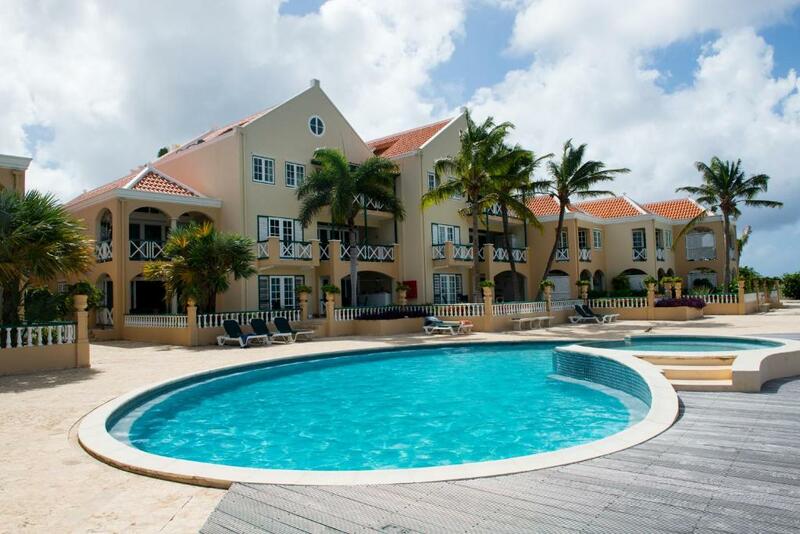 If you book and review your stay, you can help Port Bonaire 1 BR Apartment meet this goal.